The data represents the concentration of short sales versus traditional sales in “sale pending” status in Alamo as of 9.22. The short sale timeline is generally longer than a traditional sale and may be represented over a longer period of time. Questions about short sales in Alamo? Give me a call. 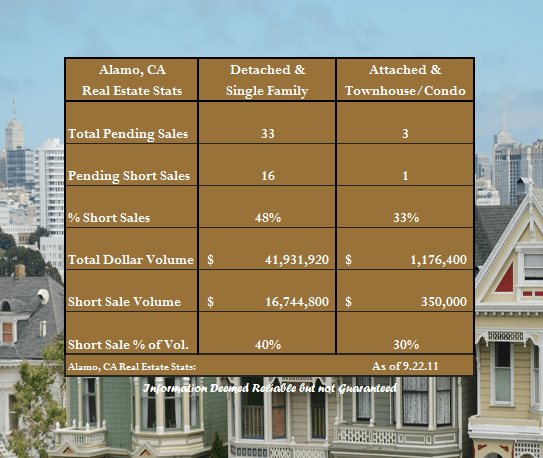 Share the post "Short Sale Concentration in Alamo as of 9.22.11"